“She sleeps on our laps all the time, and is very cuddly." 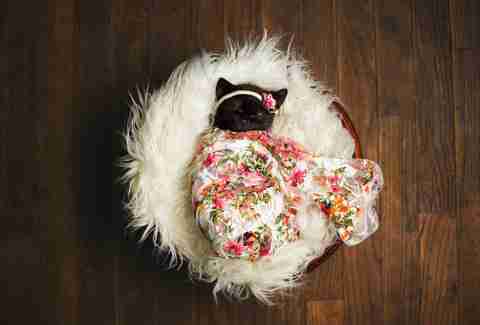 Kitty Schaub is a photographer who frequently does newborn photo shoots — and so when her family adopted an 8-week-old kitten, she saw the perfect photo shoot opportunity. Schaub and her husband adopted Luna for their 5-year-old daughter, Amelie, after their friend’s cat accidentally had kittens. From the moment they met, Amelie and Luna have been the best of friends, and do absolutely everything together. 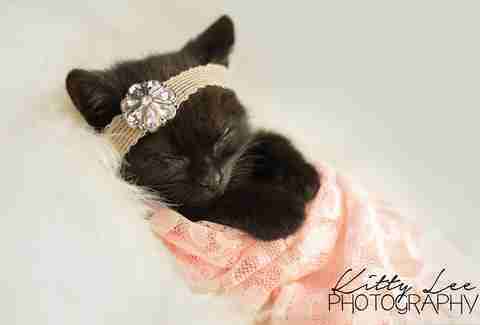 Little Luna quickly became a full blown member of the family, and since the tiny, sleepy kitten acts a lot like a newborn baby, Schaub thought it would be fun to do a photo shoot to show her off and welcome her to the world. 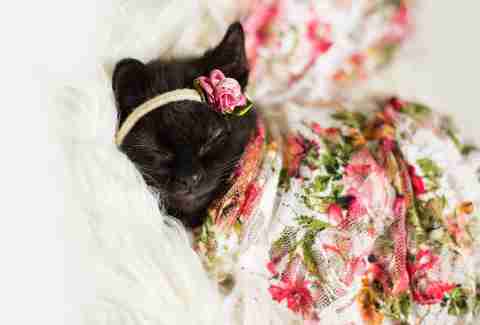 Schaub dressed Luna up in cute little headbands and swaddled her with different fabrics, just like she would any other newborn baby for a photo shoot, and took a bunch of the sweetest photos ever. She shared a few of the best pictures on her Facebook page — and people went nuts. 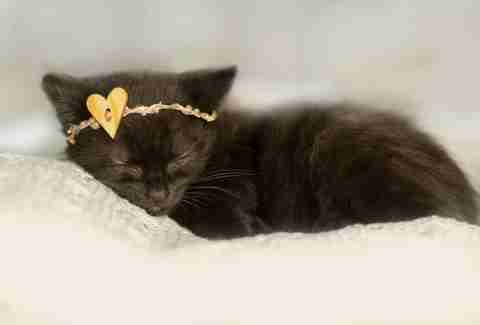 Everyone who saw the photos of Luna was absolutely smitten, and the post now has almost 60,000 shares. 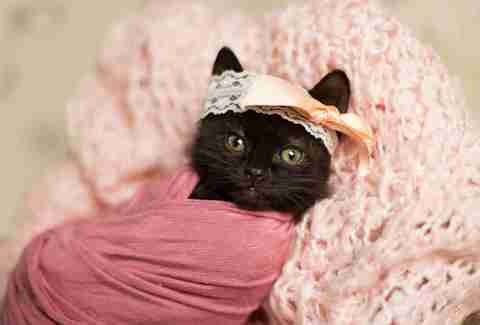 Luna’s newborn photo shoot was so popular, Schaub decided to make a calendar out of the best photos and sell them to raise money for Save-A-Stray in St. Joseph, Michigan. Schaub and her family adopted Luna to be a friend for Amelie, and now the tiny kitten is helping raise money for tons of animals in need, just by being adorable.